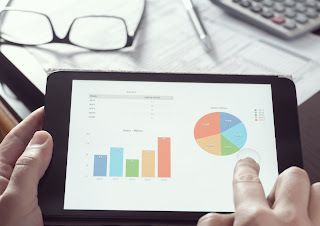 Conducting a Spend Analysis is the beginning step to implementing better category management plans, determining opportunities to diminish expenses through strategic sourcing or optimize procurement activity overall. The first step to conducting a spend analysis is to collect data which includes finding price and quantity information- often a more complicated process than it sounds. Throughout our Spend Analysis Series we have identified Where to Begin and shared the Types of Data you can expect to see when analyzing spend in effort to put cost reduction initiatives in place. In this episode of the Spend Analysis Series: Dealing with Decentralized Data, Spend Consultant Jennifer Ulrich, explains the best ways to handle the challenge of decentralized data sets when analyzing spend. She explains the resources available to help you collect your necessary data, as well as key reports to rely on. Looking for more support conducting a spend analysis? Source One's Spend Analysis as a Service, Spend Consultant, has you covered. With Spend Consultant, you receive a cost-effective, rapid and actionable spend analysis report along with data visualization tools so you can drill into your company's spend profile. Contact our spend management experts today to learn how we can help you launch your cost reduction initiative with our Spend Analysis Services.